No sooner than the game has hit the stores, People Can Fly, Epic Games, and Electronic Arts have announced the first paid downloadable content for Bulletstorm. Called the "Gun Sonata" pack, the DLC will come with three new maps for the game's cooperative "Anarchy" mode: "Sewers of Stygia," "Hotel Elysium," and "Villa." The pack will als include two new single-player, score-based "Echoes" maps: "Crash Sight" and "Guns of Stygia." While the on-disc "Echoes" are ripped from the single-player campaign, these areas are completely new for the downloadable content. Bonus: you get fancy leash enhancements, "Flamingo" and "Pulp." The "Gun Sonata" pack is out this spring for PlayStation 3 and Xbox 360 for $9.99/800 MS Points. 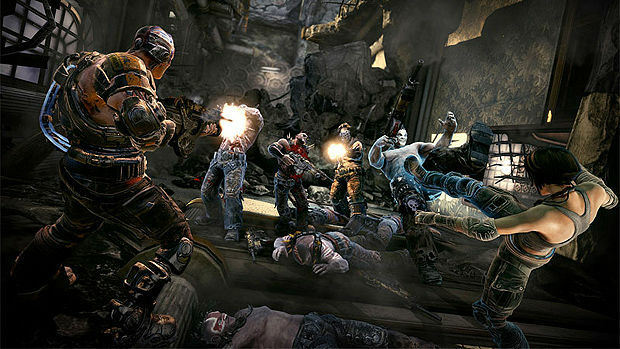 Read our full review of Bulletstorm here.